Aurangzeb was the sixth and last of the great Mughal emperors, a period that marks the peak of this empire that ruled North India from the sixteenth to the nineteenth century. After him his successors were weaker and only lost power, influence and territory to their enemies. 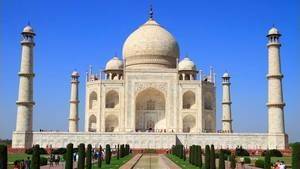 Aurangzeb was the third son of Shah-Jahân, the builder of the Taj Mahal. Initially not to receive the power, he took it by force against these 3 brothers, all governors of a province distant from each other. 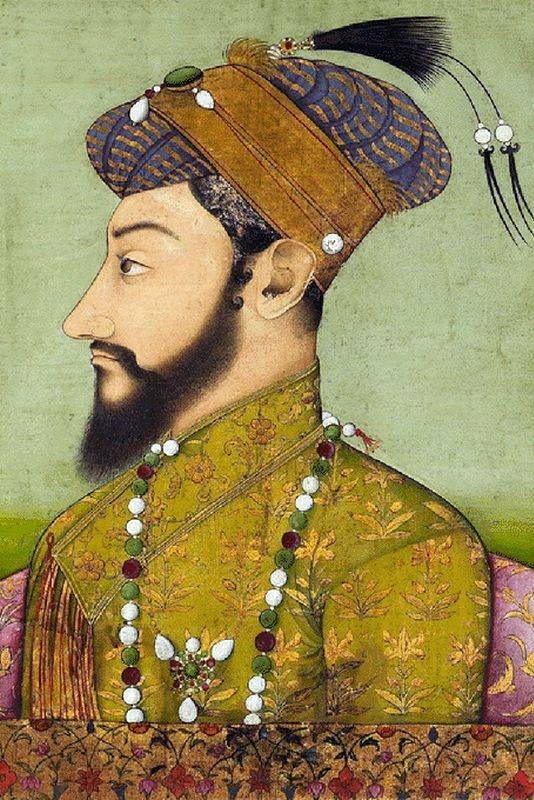 When Aurangzeb's father, Shah Jahan, died, he left behind a situation that was to be relatively healthy, but faithful to the usual quarrels of succession, his Mughal sons did not know how to take over. Shah Jahan had several sons, to whom he gave the governorship of a province. 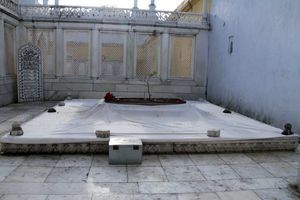 Shâh Shuja was governor of Bengal, Murâd Baksh was the governor of Gujarat, and the eldest, Dârâ Shikôh, was the one who was to take over from the Empire, so he was with his father in Agra. There was also the third son, Aurangzeb, who took charge of Deccan (1636-1644), then she of Goujerat (1645) and finally that of Afghanistan (1647). It must be said that that year the city of Kandahâr had been taken by the Persians, the sending of Aurangzeb on the spot was a strong sign: It was to take back the city. However he failed and found his position as governor of the Deccan. In 1657 Shah Jahân falls seriously ill. His sons began to tear. Shâh Shuja decreed the independence of Bengal, while Murâd Baksh did the same for Goujerat. Aurangzeb directly attacked the heir Dârâ Shikôh, effectively opposing his father. The son's troops gained the upper hand over that of the father who was taken prisoner at the red fort of Agra. He spent the last 8 years of his life with a view of the Taj Mahal. His elder brother, Dârâ Shikôh, was even less fortunate. He had to flee to a friend, Malik Jiwan, a Baluch chief, but he handed it over to Aurangzeb who humiliated him throughout the city. He was quickly beheaded. Meanwhile, Aurangzeb's forces attacked Goujerat and captured Mûrad Baksh, who was also executed. The last of the brothers, Shâh Shujâ, was the only one able to escape. He will die in the Burmese jungle some time later. Thus Aurangzeb, the sixth Mughal emperor, ascended the throne. The reign of Aurangzeb is marked by two very distinct phenomena. First he was a dreaded warlord, expanding his territory even further. 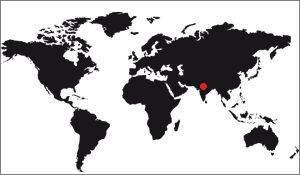 It conquered Assam, a province of India above Bangladesh (eastward extension), part of Afghanistan (westward extension), and the southern states of India, including Tanjore (extension to the South). Only the North was not a destination of conquest, it must be said that there is the formidable barrier of the Himalayas. The second element characterizing the reign of Aurangzeb is intransigence about religion. He was a believer fully committed to the precepts of Islam, with a rigorous view of this religion. As such, he is proselytizing and, as far as he can, forbids the Hindu religion. He tries to destroy the Hindu temples, which are for some (especially in the city of Vârânâsi) In their places, he built mosques, sometimes by refilling materials. Moreover, he rejects certain artistic domains such as music and dance. It also restores the djizîa, a tax on non-Muslims living in Islamic lands. This tax had been abolished very early by the first emperors who were anxious to standardize the peoples of the Empire. But the irreverent vision of Aurangzeb's reign did not accord such precautions, and the consequence was not long in coming. Throughout the reign of Aurangzeb the Empire was delivered to revolts, to various rebellions, all initiated on claims of religious tolerance. One of the most important was that initiated in the Deccan by Marathi Shivaji. Given the magnitude of this revolt Aurangzeb had to come and stay, making the city of Khidki his new capital, he will rebut Aurangzabad. Aurangzeb's legacy is rather dull. If he managed to maintain his territory, or even to enlarge, he could not maintain the harmony that prevailed before he took power. His intolerance towards non-Muslims was catastrophic. In art, the Mughal dynasty came to a halt: The architecture was no longer up to these predecessors. Dance and music had lost their qualities, no longer having the right to quote to the court, and the art of miniature, yet thriving under Shah Jahan, had also lost in quality. The reign of Aurangzeb marks the beginning of the slow-but-inexorable fall of the Empire, which accelerated with the accession to the throne of his son, a man little able to rule the Empire and who had nevertheless had to like his ancestors, fight to reach the throne. 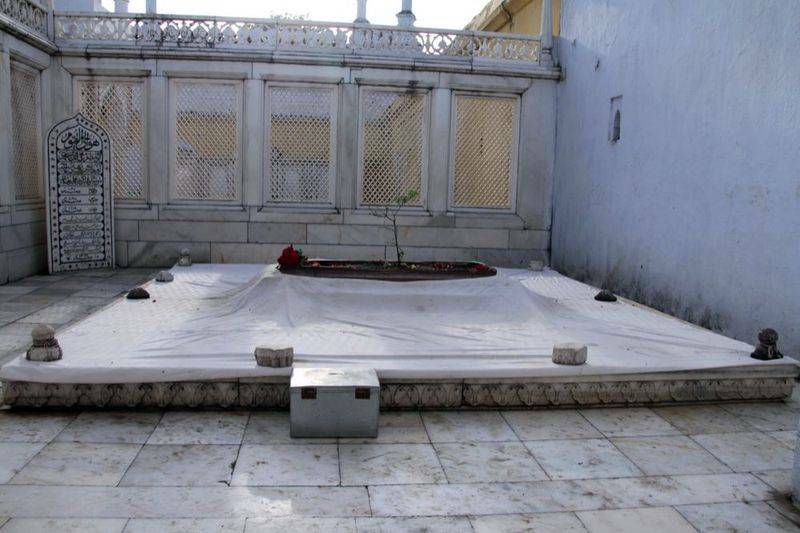 Aurangzeb is buried in Aurangabad in the open ground, as is the Muslim tradition, but not in a mausoleum. It is the only one of the great emperors to be in this case, his grave being in the open air.